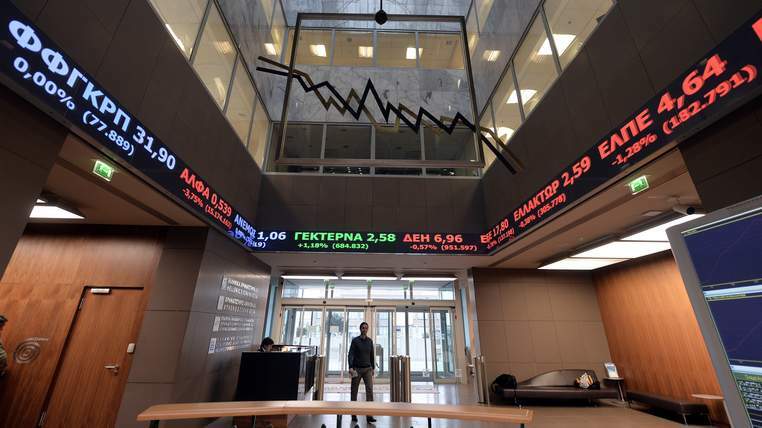 Banks in Greece and the country’s stock exchange will be shut all week in a sign of the deepening financial crisis.The drastic move comes after people rushed to withdraw their cash amid panic ahead of the referendum on bailout terms. Under the controls, there will be a daily €60 limit on withdrawals from cash machines, which will reopen on Tuesday. The euro fell sharply against the dollar amid investor jitters of a Greek debt default and exit from the eurozone. Speaking in a televised address, Prime Minister Alexis Tsipras urged calm and insisted bank deposits were safe. He blamed European partners and the European Central Bank for forcing Greece’s hand. And he said the latest developments would not halt the planned referendum next Sunday. But queues at petrol stations and the declining number of bank machines still dispensing cash underlined the scale of the country’s economic plight. European creditors have refused a request to extend Greece’s international bailout beyond Tuesday, until after the referendum. It means Athens is at risk of defaulting on its €1.5bn IMF payment, with membership of the eurozone hanging in the balance. Mr Tsipras said: “The recent decisions of the Eurogroup and ECB have only one objective: to attempt to stifle the will of the Greek people. “They will not succeed. The very opposite will occur: the Greek people will stand firm with even greater wilfulness. “In the coming days, what’s needed is patience and composure. The bank deposits of the Greek people are fully secure. “The same applies to the payment of wages and pensions – they are also guaranteed. Sky’s Europe correspondent Robert Nisbet said the closures were an attempt to limit damage to banks as people rushed to withdraw money. “This is a very serious development,” Nisbet said. As news of the closures spread, protesters gathered outside parliament in Athens. President Barack Obama and German Chancellor Angela Merkel spoke on Sunday about the latest phase of the crisis. France and Germany are to hold crisis meetings on Tuesday over the Greek crisis. Earlier, the European Central Bank said it would maintain its emergency cash lifeline to Greece’s banks – but there would be no increase. The ECB said that it stood ready to review the decision on its Emergency Liquidity Assistance (ELA), working closely with the Bank of Greece. Banks in Greece depend on ELA, and any cuts could push the country out of the euro. The Greek government is advocating a ‘no’ vote in next Sunday’s referendum on bailout terms. Ministers say the proposals were humiliating for Greece and would have pushed the country’s already devastated economy further into recession. Meanwhile, responding to the crisis, Greece’s biggest oil refiner Hellenic Petroleum said it has enough fuel reserves to last for many months.